Postgraduate Connections is a programme of events held through the year that brings together postgraduate students from across the Faculty of Medicine for an interesting talk (or panel discussion) and a chance to socialise afterwards. Each event features one or more guest speakers, followed by discussion and a complimentary drinks reception. Information on previous events can be found below, and future topics and formats will be informed by student suggestions. Please contact Gemma Williamson or Meg Carter if you have any suggestions. After graduating from Cambridge University, Wendy’s postgraduate study at the Common Cold Unit in Salisbury involved infecting human volunteers with cold viruses to understand why people keep getting colds year after year. In her two postdoctoral appointments, at the University of Reading and then Mount Sinai Medical Centre in New York, Wendy learned the molecular virology skills that would form the technological basis of her research career. Upon returning to Reading in 1995 to a junior lectureship, she set up her research group to study influenza viruses. In May 2007 she took up a Chair in Influenza Virology at Imperial College London. Wendy leads The Barclay Laboratory - a member of the Imperial Network for Vaccine Research (INVaR); a hub for academia and industry to network and collaborate on vaccine development and engineering, pathogen biology, immunology, epidemiology, health economics and tackling global health challenges. She is particularly interested in the mechanism by which viruses can cross from animal sources into humans to cause new pandemics. 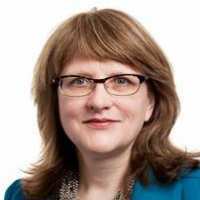 She sits on several advisory boards, for example, offering advice about respiratory virus outbreaks and also work with the Science Media Centre, whose aim is to improve the relationship between scientists and the media. As part of this media engagement, you can hear Wendy talking about the flu virus on The Life Scientific with Jim Al-Khalili, recorded last year and currently still available on BBC Sounds. This session is aimed at masters’ and final year undergraduate students. Senior members of Faculty and other parts of College will be taking time out of their busy schedules to provide you with a wealth of advice and tips for any future applications. This may feel very early to be thinking about next steps, however, most scholarship applications close just before Christmas or early in the new year, so it’s a good time to learn about what’s available and also to start thinking about drafting an application. You may not be ready to apply for scholarships this year, and the advice at this session certainly does not relate exclusively to scholarships. Should you approach prospective supervisors before applying? What makes an application stand out? How should a personal statement be structured? How detailed should a personal statement be? Should you research the panellists? Panellists will share their experience of personal statements in general, interview preparation and presentations, influencing skills, communicating clearly, body language – all skills that will help in your career. Please do come with your own questions for the panel or send us a question beforehand on the registration form. Thursday 4 October 2018 - Professor Terry Tetley "The changing face of air pollution"
Professor Tetley belongs to the MRC-HPA Centre for the Environment and Health at Imperial College and the NIHR-HPRU on the Health Impact of Environmental Hazards ( both joint with KCL). Her research focuses on the cellular and molecular mechanisms of pulmonary diseases related to inhaled toxicants, including cigarette smoke, asbestos, ambient particulate air pollution and engineered nanoparticles. She initiated the Imperial College strategy on “Nanoparticles and Health” in 2006. This involves scientists from all Faculties has led to international collaborations in the EU and USA. A major aim is to identify which features of engineered nanomaterials will deliver safer products. As always, the talk and Q&A will be followed by a drinks reception, giving you an opportunity to meet and mix with the new cohort of PG students as well as current students and Faculty of Medicine staff. William Cookson is Professor of Genomic Medicine, and Miriam Moffatt is Professor of Respiratory Genetics, both based at the National Heart and Lung Institute. Miriam is a microbiologist by background, and Bill is a medical doctor who crossed over to genetics. This combination of priorities led to their long-standing collaboration on the basis of asthma and other allergic diseases, and they were the first holders of a joint Wellcome Trust senior investigator award. Their work has led to clues about the cellular origin and the treatment of asthma, and the way that environmental or lifestyle factors might modify the underlying gene expression. Their PG Connections appearance will offer intriguing insights into the way that the body interprets outside influences and the way that problems in biomedicine can be tackled by merging scientific approaches. Thursday 15 March 2018 - Professor Lord Robert Winston "Is there still a place for old-fashioned medicine?" Lord Winston is Professor of Science and Society and Emeritus Professor of Fertility Studies at Imperial College London. In the 1970s he developed gynaecological surgical techniques that improved fertility treatments. He later pioneered new treatments to improve in vitro fertilisation (IVF) and developed pre-implantation diagnosis. This allowed embryos to be screened for genetic diseases and has allowed parents carrying faulty genes to have children free of illnesses such as cystic fibrosis. He now runs a research programme at the Institute of Reproductive and Developmental Biology at Imperial College that aims to improve human transplantation. Robert Winston has over 300 scientific publications about human reproduction and the early stages of pregnancy. Robert Winston is also Chairman of the Genesis Research Trust – a charity which raised over £13 million to establish the Institute of Reproductive and Developmental Biology and which now funds high-quality research into women’s health and babies. Wednesday 5 December 2017 - Professor Anne Lingford-Hughes "Investigating the neurobiology of addiction to improve treatment"
Professor Anne Lingford-Hughes is Head, Centre for Psychiatry and Professor of Addiction Biology at Imperial College London. 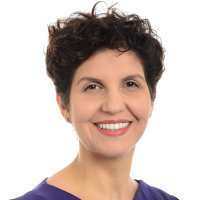 She is also a Consultant Psychiatrist with a particular interest in pharmacological treatments of alcohol problems and other substance addictions at Central North West London NHS Foundation Trust. Her research has focused on using neuroimaging and neuropharmacological challenges to characterize the neurobiology of addiction. In particular she has used positron emission tomography (PET) and MR to characterize the dopamine (DRD2, DRD3), opioid (mu), GABA-benzodiazepine (a5 subtype), GABA-B, NK1 receptor systems in a range of substance addictions including alcoholism, cocaine and opiate dependence as well disordered gambling. More recently she has been exploring neuroinflammatory processes and amyloid deposition in alcoholism. The aim of her research programme is to better understand neurobiology underpinning these disorders to improve treatment. This session is aimed at masters’ and final year undergraduate students. Senior members of Faculty and other parts of College will be taking time out of their busy schedules to provide you with a wealth of advice and tips for any future applications. This may feel very early to be thinking about next steps, however most scholarship applications close just before Christmas or early in the new year, so it’s a good time to learn about what’s available and also to start thinking about drafting an application. You may not be ready to apply for scholarships this year, and the advice at this session certainly does not relate exclusively to scholarships. Panellists will share their experience of personal statements in general, interview preparation and presentations, influencing skills, communicating clearly, body language – all skills that will help in your career. Please do come with your own questions for the panel or send us a question beforehand on the registration form. Friday 6 October 2017 - Professor Mary Morrell "The impact of sleep breathing and brain function - an inspiring journey!" Professor Morrell’s research is focused on the causes and consequences of breathing disorders of sleep. Her group focuses on a disease called obstructive sleep apnoea that causes people to stop breathing when they’re asleep, sometimes hundreds of times a night. Each apnoea is terminated by an arousal from sleep. Cumulatively, the awakenings can lead to sleepiness during the day, also increased risk of cardiovascular disease and even strokes. In younger people obstructive sleep apnoea and sleep disorders in general can impair learning and in older people they may accelerate cognitive decline. This could mean that the impact of sleep apnoea is especially significant in older people. Professor Morrell and her collaborators are currently studying this aspect of the disease; do come and hear about her studies to date and future areas of research. Biomedicine and data sharing are blurring the boundary between individuals, populations, health services and corporations. Government regulation is running to catch up with developments in research, technology and markets – but will this protect the individual, or place unreasonable restrictions on our own decision-making? If I take a blood sample from you, can I sequence your DNA? Can I share your genetic data with your relatives, or another lab? Can I culture your cells without permission, and develop a new drug? If you donate your organs for research, can you restrict what happens to them after your death? Are your health records confidential? What happens to health data from e-monitoring devices? If I can crowdfund an experimental treatment in a foreign country, why can’t I take my seriously ill child abroad? Does it belong to you? Our invited panel and the audience will explore the threats and opportunities arising from the new health landscape. Join us to share your insights into the extent and limitations of our autonomy. Speakers will give their perspectives and take questions from the floor. Heather Hanna is a nurse with over 25 years of experience with specialisms in Paediatrics, Neonatal Intensive Care and Research. 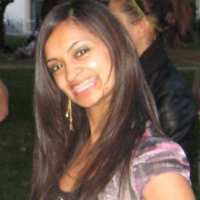 She has qualifications in the UK and USA in Adult and Paediatric Nursing and has practiced in both countries. Additionally, she has a Masters in Allergy from Imperial College. She has been a Clinical Teaching Fellow for PG Cert/Dip/MSc in Paediatrics and Child Health at Imperial College since 2015 and she lectures on Allergy, Ethics and End of Life Care. Her interest in Ethical issues stems from her practical experiences as a nurse and her strong desire to teach about ethics and help her students to identify practical ways of approaching ethical dilemmas. Dr Kong is a consultant endocrinologist at the Central Middlesex Hospital, and Head of Ethics and Law for Undergraduate Medicine with this theme running vertically through all 6 years of undergraduate medicine at Imperial. Her team has been running a BSc module 'Death, Autopsy and the Law' since 2011 which provides an opportunity for students to explore and analyse ethical and legal issues around death, dying and the dead body. 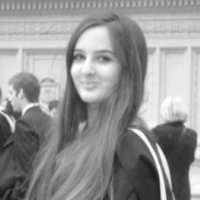 She is co-course leader for a new Humanities, Philosophy and Law BSc which starts this September. Dr Kong is Chair of the Institute of Medical Ethics (IME), a charity that promotes the discussion and application of medical ethics in clinical practice through research and education. The IME has published a core curriculum for medical ethics and law, for use in medical schools and supports postgraduate bioethics researchers through grants and an annual research conference. Dagmar works as a prenatal genetic counsellor at Queen Charlotte's & Chelsea Hospital. She advises couples who face a chance of genetic condition in the pregnancy about their options. She teaches on the BSc and MSc course of Reproductive and Developmental Biology and the MSc in Genomic Medicine at Imperial College. Dagmar is the local lead for the national RAPID research study to develop new methods of prenatal testing, including non-invasive prenatal testing (NIPT). She was an invited participant at a stakeholder meeting of the Nuffield Council on Bioethics report on NIPT. Dagmar is also local PI for the Prenatal Assessment of Genomes and Exomes (PAGE) study that evaluates at the feasibility of genome/exome sequencing in prenatal testing. The study includes looking at the ethical aspects of such new testing strategies. 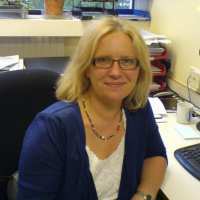 Gerry Thomas is Professor of Molecular Pathology at Imperial College London. She is committed to developing infrastructures for molecular pathology research, both for use by her own research group but also by others. She strongly believes that public involvement and information is a key part of academic research, and is actively involved in the public communication of research, particularly with respect to radiation protection, and biobanking. Gerry is the module lead for Ethics, Law and Societal Issues for Imperial’s MSc in Genomic Medicine, and is an adviser to several international Biobanking initiatives, including the Integrated Biobank of Luxembourg. She is the Designated Individual for the HTA Licence that covers research across the whole of Imperial College London’s campuses. Her initial research work focused on animal models of cancer, in particular thyroid cancer. 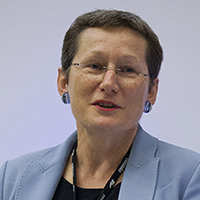 She has carried out research into the health effects of the Chernobyl accident since 1992, and established the Chernobyl Tissue Bank (CTB: www.chernobyltissuebank.com) in 1998. The CTB has provided infrastructural support (both physical and ethical) in Belarus, Ukraine and Russia for thyroid cancer diagnosis and research into the molecular mechanisms that underlie the increase in thyroid cancer seen after the Chernobyl accident. The project provides a platform for a systems biology approach to exploring these mechanisms and supports tissue collection for international epidemiology studies. Gerry has published extensively on the molecular pathology of thyroid cancer, and is an author/editor of a number of reviews of the health effects of radiation exposure following nuclear accidents. Following the Fukushima accident, she was asked to explain the health risks of radiation on both broadcast and written media in the UK and internationally. She was invited to speak at the Expert Meeting on the Health Effects of Radiation held in Fukushima in September 2011, and was invited by the UK Chief Scientist’s Office to join the UK-Japan dialogue on nuclear energy in 2012. She is also a Distinguished Fellow of the Institute of Energy and Economics of Japan. I have served as a lay member of the Imperial College Research Ethics Committee since 2015 and of a Health Research Authority Medical Ethics Research Committee since 2014. I read literature and philosophy at University. My main career was in the UK Government’s security and intelligence community, latterly at Director-General level, responsible for the effective and proper conduct of a wide range of sensitive techniques and operations. I found the scrupulous ethical consideration that such activities required - to safeguard the interests of the citizen and to satisfy high standards of public accountability - particularly fascinating. And I have since enjoyed extending my ethical specialisation into medical research, where the measurement of proportionality, of competing harms and of the public interest plays a similarly central role. Panel discussion about the reception of science stories by the media and the public. What, if anything, might be done about this gap between research and its reception? Does the public need to understand science at all? Should lay panels have a veto in grant applications? 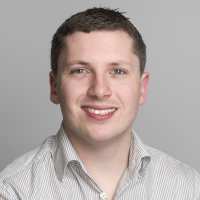 Dr Toby Andrew is a Lecturer in Human Genetics at the Department of Genomics of Common Disease, Imperial College, where he is a Principle Investigator and course organiser for the MSc in Human Molecular Genetics. Trained in Biology (BSc. Leeds 1985), Biological Computing (MSc. York, 1989) and Human Genetics (PhD. KCL, 2005) his research interests focus on gene mapping methods and the genetics of mitochondrial function in relation to health and disease, such as diabetes. At the PG connections forum he will defend the importance of “curiosity-driven” science and question why such an intellectually uncontentious idea has now become so contentious. I am postgraduate researcher within the Science and Solutions for a Changing Planet DTP and the Department of Life Sciences at Imperial College. My PhD research investigates how soil and leaf-litter biodiversity responds to land-use change. I was previously a distance learner with the Open University (BSc. 2011) and do not see the public and scientists as separate groups. As part of this philosophy I run a citizen science project - Earthworm Watch - in partnership with the Natural History Museum, London and Earthwatch Institute, to directly involve the public with my research. I'm a Professor of Structural Biology in the Department of Life Sciences at Imperial College, primarily interested in mechanisms of RNA virus replication. I am also involved in writing about and campaigning on issues related to the ‘business’ of science, such as scholarly publishing, research evaluation, and research funding. I am on the boards of the Campaign for Science and Engineering and Science is Vital. I think the gap between science and society is narrower and more interesting than many people suppose (including scientists)! Professor Sian Harding is Professor of Cardiac Pharmacology, Head of the Division of Cardiovascular Sciences in NHLI and Director of the Imperial British Heart Foundation Cardiovascular Regenerative Medicine Centre. Her work has centered on the myocardium in heart failure, especially beta-adrenergic mechanisms. She was PI on the first UK Gene therapy Trial in LVAD patients, aimed at improving cardiac contractility. She is now studying the pluripotent stem cell-derived cardiomyocyte, both for disease modelling and cardiac repair. 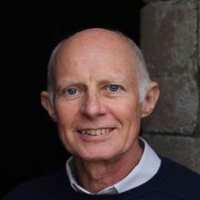 Professor Harding is former President of the European Section of the International Society for Heart Research and member of the Nuffield Council on Bioethics. She has been elected Fellow of both the American Heart Association and the European Society of Cardiology, and is on the Board of the British Society of Gene and Cell Therapy. One of the most interesting and controversial societal issues she has been involved in is the licensing of mitochondrial donation (the so-called “three parent baby”) by the HFEA. She was involved on a number of levels; from the first Nuffield Council on Bioethics working party to the support of MPs during the Parliamentary debates. After a nearly 10 year journey we now have the first license granted for one of these children to be born. Luca got his PHD from Purdue University and started his lab at ICL in 2013 with a Junior Research Fellowship. His objective is to characterize the role of the chromatin landcape in oncogenesis. A second goal is to understand how cancer cells reprogram the chromatin landscape to escape treatment. Luca’s research is focused on breast cancer and he often interacts and engage with patients and the lay press. He is very aware of the fine line between communicating science to a wider audience and the risk of sensationalise the outcome of research. He is therefore very interested in exploring new avenues with the help of colleagues and the audience itself. Professionals with connections to Imperial will give perspectives on the careers they have built since completing their master's or PhD studies. Panellists from a variety of organisations and industries will offer a snapshot of their career path so far before taking your questions from the floor. This will be followed by three breakout sessions offering further opportunity to interact with the panellists whose paths you are most interested in. If you would like to attend, please register by completing our online registration form. Spaces are limited so register early to avoid disappointment. I got my first class degree in Biochemistry and PhD from the University of Warwick. After this, I moved to the University of Pennsylvania School of Medicine as a postdoctoral fellow. I was then awarded an Early Career Fellowship by Imperial and then a Royal Society and Wellcome Trust Sir Henry Dale Fellowship to start my own research group. Sam works as the Housing and Integration Policy Lead at the Department of Health. He is the organisation's lead for housing and health/care issues. His previous role was at Public Health England (PHE) as the national lead for work, worklessness and health. Before joininh PHE, Sam worked in the Department of Health and Ministry of Justice in a variety of different roles. Between 2011 and 2013 he completed the Government graduate scheme - The Civil Service Fast Stream - as an internal candidate. Sam recently completed an MSc in Health Policy at Imperial College London. He received the Dean's Prize for his disseration on pet ownership and health in later life. He now lives and works in London with his partner. Barbara completed her undergraduate degree in Nursing at the University of Southampton in 2011 and worked as a qualified nurse on the cardiothoracic wards at the Southampton General Hospital for two years. She moved to London in 2013 to take on the role of clinical research nurse at Imperial College London (Cardiovascular Research Support Unit) where she currently works. Her role involves supporting the setting-up of clinical trials within Imperial College Healthcare NHS Trust and recruiting patients to partake in clinical research. Barbara has recently completed a part-time MSc programme in Preventive Cardiology here at Imperial College London and now looks forward to starting her new role as a Cardiac Nurse Specialist within Imperial College Healthcare NHS Trust. Moyo is an analyst in the Public Sector and Healthcare market of KPMG. Her role involves strategy planning for health regulators, and the management of public sector projects. Prior to starting her role at KPMG Moyo studied the Master's of Public Health (Global Health stream) here at Imperial. Moyo graduated from the University of Birmingham with a BSc in Medical Science in 2013. Between her undergraduate degree and master's Moyo also gained experience at an HIV support charity and a health communications agency. Following an internship as a lab assistant at a biotech-pharma company in Germany, during my gap year, I obtained a degree in Biomedical Sciences from Durham University. I then worked for over 3 years for UCB Pharma as a Research Associate in Immunology and Inflammation, which I left to get a PhD. I was awarded the MRC Doctoral Training studentship and completed my MRes in Biomedical Research, followed by a PhD in Clinical Research at Imperial College London in 2016, working mainly on parasitic tropical infections. During my PhD, my desire to become more involved in international public health matters grew stronger and so I decided to transition my career path away from the lab bench. I am now project manager for two HIV modelling projects at the School of Public Health (Dept. of Infectious Disease Epidemiology) at Imperial College, which I’m very excited about. My passion for science remains strong and in my spare time, I also tutor Science to secondary school pupils. Soon after graduating with a First in Biochemistry from Imperial College London in 2011 and whilst completing an MRes in Translational Medicine (also at the college), I founded ShyDen Biotechnology – a start-up therapeutic antibody company working in the immuno-oncology space. We’re working on bispecific antibodies which harness the immune system. Dr Natalie Shenker trained in medicine at Oxford (qu. 2003) and initially pursued a love of developmental biology through a career in paediatric surgery. After stepping out of clinical work to study for a MSc in Developmental Biology at Imperial College, she became fascinated with the field of epigenetics and went on to win MRC funding to study for PhD in the Epigenetics Unit. This research focused on epigenetic risk markers of breast cancer, during which she extracted and characterised breast epithelial cells from breast milk samples for epigenetic research via a collaboration with a hospital milk bank. On completing her PhD, Natalie was faced with the twin frustrations of a lack of funding to continue this research, and a funding-related crisis in the provision of donor milk in London. In 2016, working with milk banking expert Gillian Weaver, she founded the Hearts Milk Bank, a social enterprise that aims to solve not only the shortage of screened donor milk, but to facilitate a range of research, including the establishment of a breast milk biobank. Sophie qualified as a vet from the University of Bristol in 2009 and spent 5 years in clinical practice before travelling to Africa to work with MAWS in Botswana running outreach clinics for those with domestic or working pets who had limited or no access to veterinary care. Upon her return she completed an MSc in Science Communication at Imperial and on graduation, started work at Windfall Films as a researcher on a natural history programme for BBC4. She continues to locum as vet though this will diminish when in March, she takes up a full time researcher position at the BBC on the team who produce 'Horizon'. This event is led by Professor Laki Buluwela, Faculty of Medicine Academic Lead for Postgraduate Research studies. This session is aimed at masters' and undergraduate students. Senior members of the Faculty and other parts of the College will provide you with a wealth of advice and tips for future applications. For master's students, this may feel early to be thinking about next steps. However, most scholarship applications close just before Christmas or early in the new year, so it's a good time to learn about what's available and also to start thinking about drafting an application. Whether you plan postgraduate study or not, the advice provided at this session will be beneficial in many ways: personal statements, interview preparation, influencing skills, communicating clearly, interview presentations, body language. There will be an opportunity to ask the panel your own questions. David Nutt is a psychiatrist and the Edmund J. Safra Professor of Neuropsychopharmacology in the Division of Brain Science, Dept of Medicine. Here he uses a range of brain imaging techniques to explore the causes of addiction and other psychiatric disorders and to search for new treatments. He has published over 450 original research papers, a similar number of reviews and books chapters, eight government reports on drugs and 30 books, including one for the general public, Drugs: without the hot air, that won the Transmission Prize in 2014. 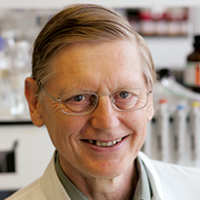 He is currently the President of the European Brain Council and Founding Chair of DrugScience.org.uk (formerly the Independent Scientific Committee on Drugs (ISCD). Previously he has been president of the British Association of Psychopharmacology, the British Neuroscience Association and the European College of Neuropsychopharmacology. He broadcasts widely to the general public both on radio and television. In 2010 The Times Eureka science magazine voted him one of the 100 most important figures in British Science, and the only psychiatrist in the list. In 2013 he was awarded the John Maddox Prize from Nature/Sense about Science for standing up for science. In this lecture, Professor Nutt will be speaking about 'Why scientists should also be revolutionaries.' Most people think that the biggest problem to scientific and medical advances is the failure of funders, governments and the public to understand the value of what they do. Professor Nutt will demonstrate with examples from his own research career and those of others, that scientists themselves are often the enemy of progress and argue that we should always be challenging ourselves to think more creatively about the future goals of our disciplines. This event is free to attend, but please register to confirm your place. 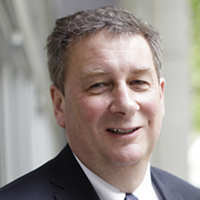 Professor Nick Jennings, CB, FREng, is responsible for promoting, supporting and facilitating Imperial College London's research performance and for leading on the delivery of the Research Strategy. He also holds a chair in Artificial Intelligence in the Departments of Computing and Electrical and Electronic Engineering. 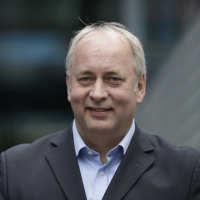 Before joining Imperial College London, Professor Jennings was Regius Professor of Computer Science at the University of Southampton and the UK Government’s Chief Scientific Advisor for National Security. Professor Jennings is an internationally-recognized authority in the areas of artificial intelligence, autonomous systems, cybersecurity and agent-based computing. This lecture will provide an introduction to the exciting field of artificial intelligence (AI) and talk about its use in healthcare. In particular, I will talk about the foundations of building smart machines – covering topics such as reasoning and machine learning – and the applications of AI in a broad set of domains including autonomous vehicles, disaster response and healthcare. I will also discuss the wider societal implications for AI and its potential impact on jobs and the very existence of humanity. 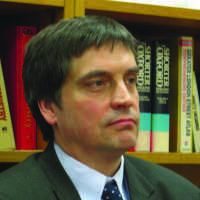 Roger Kneebone is Professor of Surgical Education and Engagement Science, Imperial College London. His multidisciplinary research builds on his personal experience as a surgeon and a general practitioner and his interest in domains of expertise beyond medicine. roger has built an unorthodox and creative team of clinicians, computer scientists, design engineers, social scientists, historians, artists, craftsmen and performers. Roger has an international profile as an academic and innovator. 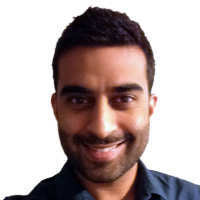 He is a Wellcome Trust Engagement Fellow and in 2011 became a National Teaching Fellow. This talk frames surgery as a practice which combines science, craft and performance. This talk explores the embodied ways of knowing that take place at the intersection between hands, tools and materials. Drawing on collaborations with experts within and beyond medicine, Roger uses simulation to make unexpected connections between apparently dissimilar worlds. 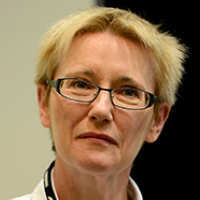 Uta Griesenbach is a Professor in Molecular Medicine at the National Heart and Lung Institute, Imperial College London. biomarker development, toxicology and GMP-vector production. Uta is co-investigator on several gene therapy trials, including a recently completed non-viral Phase IIb study. Gene therapy for cystic fibrosis (CF) has been developed ever since the CF gene was identified almost two decades ago. This lecture will provide a state-of-the-art overview of the field and highlight recent clinic trial results which, for the first time, show that gene therapy can stabilise CF lung disease. 'Why did this child become seriously ill with this disease, while that child walked out of casualty with the same bug and nothing much happened?' This is one of the many questions influencing Beate's research. Leader in the fields of Paediatric Tuberculosis and Vaccinology, her research team of more than 80 scientists located in the UK and the Gambia is interested in TB/HIV co-infections, age-related immune responses to infection and vaccination and strategies for maternal immunisation. Telling us about her 'open-lab' approach, it is our pleasure to have Beate as one of our keynote speakers. A panel of professionals from a variety of organisations and industries will give perspectives on the trajectories their careers have followed since they graduated from their Master's or PhD studies. The evening will start with each panellist offering a snapshot of their career path so far before taking your questions from the floor. This will be followed by three breakout sessions offering further opportunity to interact with the panellists whose paths you are most interested in. Timings are as follows. After graduating from Imperial with a degree in Biochemistry, I stayed on to do an MRes and PhD in Cell and Molecular Biology. I had no idea what I wanted to do after my PhD, so I applied for a temporary job at UCB. I loved the work that I was doing, designing novel bispecific antibodies to treat patients with severe diseases, and my temporary position soon became a permanent one. I have recently started managing a small protein expression and purification group at UCB, which is an exciting new challenge. After my undergraduate I headed straight into industry, determined to make the huge amounts of money that I was sure there. But whilst working at Pfizer I realised that I actually wanted to tackle unanswered questions – I liked exploring the unknown. And so a PhD beckoned. I loved my time as a PhD student and so I immediately followed it up with a post doc. During this time I started to realise that I much preferred talking about science to doing it, and so I left to join Cancer Research UK as a science communicator. It is without doubt the best job I’ve ever had and I even get to go on the telly. Sam's motto: There is nothing more important than being a curious sceptic. After studying a BSc in Biomedical Sciences I went on to do a Master's in Public Health, both at Imperial. After my Master's I decided I wanted to pursue a career in health policy, so I joined Civil Service Fast Stream. I've had postings in the Home Office, the Department of Health and the Cabinet Office, and am currently on a six month secondment to the National Health Service. Natalie's motto: Approach everything with a smile. 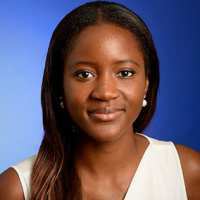 Moyo is an analyst in the Public Sector and Healthcare market of KPMG. Her role involves strategy planning for health regulators and CCGs, and the management of public sector projects. Prior to starting her role at KPMG Moyo studied the Master's of Public Health (Global Health stream) here at Imperial. Moyo graduated from the University of Birmingham with a BSc in Medical Science in 2013. Between her undergraduate degree and master's Moyo also gained experience at an HIV support charity and a health communications agency. Moyo's motto: Live your life generously and grab joy where you can. Shyam's motto: You can't connect the dots looking forward, you can only connect them looking back. I completed my undergraduate medical training at the Royal Free Hospital and am now just coming to the end of my specialist training in Diabetes, Endocrinology and General Internal Medicine. I have followed the National Institute of Health Research clinical academic training pathway. I took time out of my clinical training to concentrate on a PhD at Imperial in 2008 - interspersed by three maternity leaves. In 2012 I was awarded a Clinical Lectureship, which allowed me to devote 50% of my time to developing research interests and the other 50% of my time to completing clinical training at the hospital. This was the springboard for a successful Intermediate Clinician Scientist Fellowship, which will allow me to concentrate entirely on my research onc I qualify as a consultant later this year, affording me the space and resource to develop my own independent research career. Vicky's motto: As a mum of three children under six, a fulltime junior doctor and aspiring clinical scientist I have learned how to juggle and deal with competing time pressures and stressors. Most importantly I have learned how to cope with rejection (papers, grants, job applications...) and use every setback as an opportunity to make it better next time. I guess my motto would be - never give up! Craig is a final year PhD candidate (Inorganic Chemistry) researching catalyst design in collaboration with INEOS Technologies. Prior to this he worked as an investment banking analyst (UK IBD) at Bank of America Merril Lynch from 2011-2013. 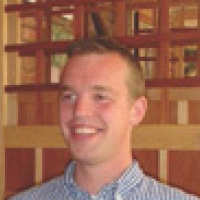 Craig graduated with a 1st in Chemistry from Imperial College London in 2011. 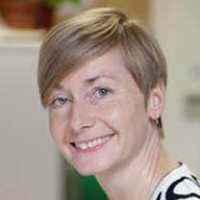 Professor of Leukocyte and Stem Cell Biology, Sara is a Fellow of the Royal Society of Biology, a Wellcome Trust Senior Investigator and the NHLI's lead for Outreach and public engagement. Her research focuses on developing new drugs that activate endogenous adult stem cells and thereby enhance tissue repair. She has been the lead scientist in a number of high profile public engagement activities. In her presentation, Professor Rankin will talk about how she has combined her research career with outreach and public engagement activities and why she believes this is important. She will give examples of some of the more innovative ways she has used to engage different audiences and the strengths and weaknesses of different approaches. If you have a passion to share your science beyond the University walls this lecture is for you. All Faculty of Medicine postgraduate, graduate medicine and direct-entry students are welcome to attend, as are all Faculty staff. Invites for this event have already been sent out, so if you would like to attend but have yet to receive an invite, please contact Lottie Stables (l.stables@imperial.ac.uk). Professor Gavin Screaton took over as the Dean of Faculty of Medicine in March 2015. 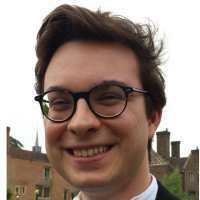 His first degree is from Cambridge after which he went on to Oxford to complete his medical studies and his DPhil in General Medicine. He is a member of the MRC Strategy Board, Academy of Medical Sciences, Association of Physicians and a Fellow of the Royal College of Physicians. He was made a Founder Senior Investigator at the NIHR and has sat on funding committees at the CRUK, Wellcome Trust and MRC. His research is supported by Fellowships awarded by the MRC and Wellcome Trust. Through a series of research vignettes Gavin will reflect on his academic medical research journey from early beginnings to Faculty Dean and identify key decisions (or as he puts it - lucky breaks) on the way. 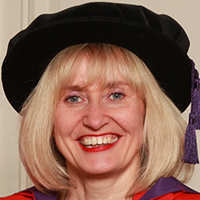 Professor Jenny Higham is Vice Dean for Institutional Affairs and Director of Education in the Faculty of Medicine at Imperial College. She is also Senior Vice Dean of the Lee Kong Chian School of Medicine in Singapore. Additionally, she continues to practise medicine, as a surgical gynaecologist at St Mary’s hospital, Paddington. In her talk, Professor Higham presented her experiences and discoveries of starting up a new medical school: the Lee Kong Chian School of Medicine in Singapore. She has been involved in this project from its inception to her current regular involvement as Senior Vice Dean. She discussed the reasons why Imperial College and Nanyang Technical University in Singapore agreed they would unite for this collaboration and the cultural, educational and management challenges and opportunities associated with the project. Prof Sir Bloom is the Head of Division for Diabetes, Endocrinology and Metabolism, Chair of the academic Section of Endocrinology and Investigative Medicine at Imperial College London and Lead Clinician for Clinical Chemistry at Imperial College Healthcare NHS Trust. He heads a 40 strong research team investigating the physiology of regulatory peptides in CNS and periphery. In his talk, Steve explained how his research group have used molecular biology & animal physiology to identify peptide-receptor interactions that control human physiology. He also described the development of tools to control the brain, and the drive to eat so that the biggest world pandemic seen so far can be halted. Professor Debra Humphris has been the Vice Provost (Education) at Imperial since her appointment in August 2015. In her talk, she discusses her career path, starting in professional training and progressing to a Master's and a PhD, and focuses on the benefits of these experiences, many of which were not apparent at the time. A Senior Director at Pfizer, author of The Epigenetics Revolution, and currently a Visiting Professor at Imperial College London, Nessa Carey has worked in a range of fields, including forensic science, traditional academia, three biotech roles and the large pharmaceutical sector. In her talk, she draws upon this extensive and varied experience to give her perspective on science careers, and to offer some useful advice for those embarking on their own careers. 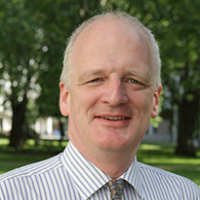 Professor Dermot Kelleher is the Vice President (Health) at Imperial College London. In his talk on the importance of multi-disciplinary engagement in modern biomedical research, he argued that the translation of knowledge into practise involves not only scientific but also regulatory, legal and entrepreneurial expertise. In his final public appearance as Imperial's Graduate School Director, Professor Andrew George drew upon his extensive research and leadership experience to explore the skills and attitudes which are vital to success in modern medical research. We're ranked among the top ten best universities in the world in the QS World University Rankings 2019, making an Imperial degree highly valued by employers across the globe.